The Duplo DF1200 A3 suction paper folding machine brings professional, heavy duty, ultra reliable suction folding to your desktop. 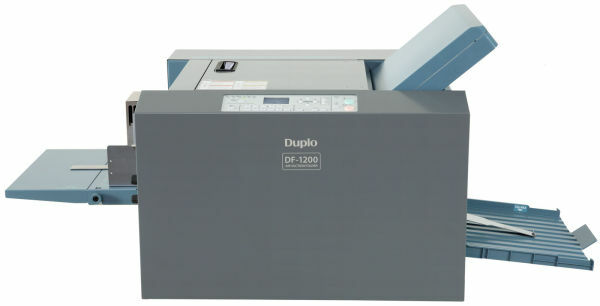 The DF-1200 paper folder has an excellent in-built suction feed system with optical double sheet detection, enabling true "walk-away" paper folding on all kinds of paper up to 230gsm thick. Quiet operation and simple push-button set-up.